You are here: Home / color / Color mixing in weaving mini-course! 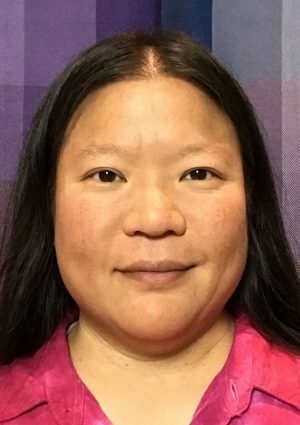 This blog post is something new! I’m giving you a short course in color mixing in handweaving. 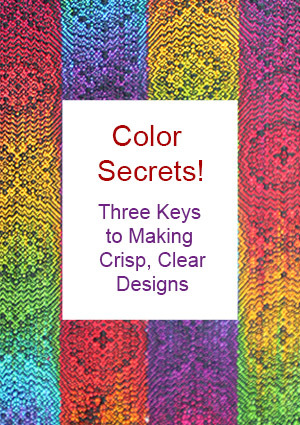 If you find this mini-course helpful, check out the online courses it’s drawn from – Color Courage for Weavers – Basics and Color Courage for Weavers – Workshop. For those who prefer text, here’s a slightly less detailed text/image form, also drawn from Color Courage for Weavers, and a downloadable transcript of the video. 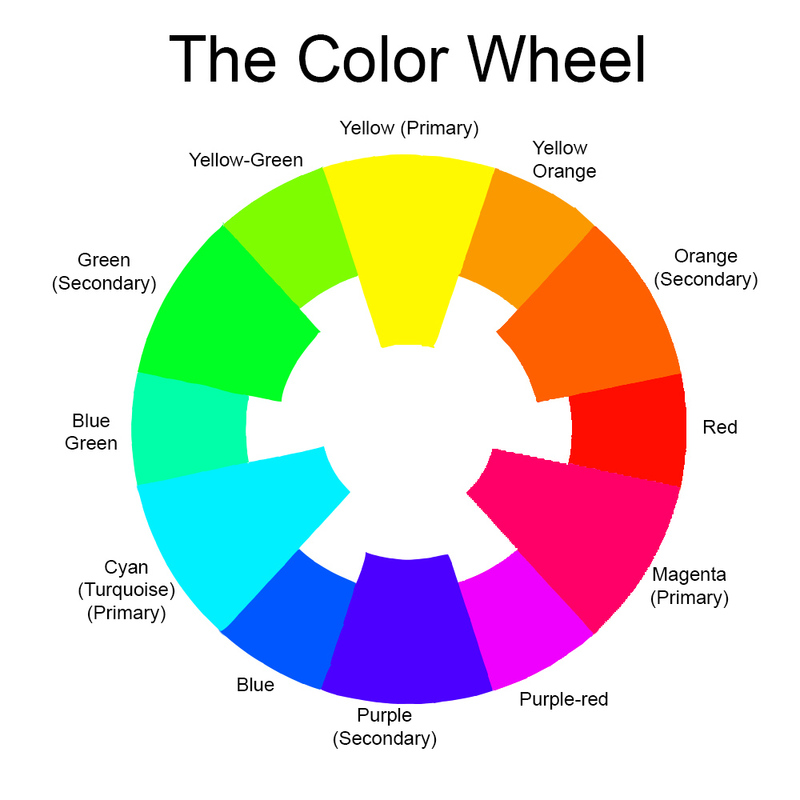 All colors can be thought of as mixtures of the three primary colors – magenta, yellow, and cyan (turquoise). Mixing any two of the three primaries gives you an equally saturated color that falls somewhere between those two primaries on the color wheel. Mixing all three primaries, in equal proportions, should (in theory) produce gray. In practice, because there is no such thing as a perfect primary color, mixing all three primaries usually produces a low-saturation color that is close to gray, but not necessarily neutral gray. You might get brown, blue-gray, greenish-gray, or some other low-saturation color. However, it is very true that mixing colors that contain all three primaries will produce a much duller color. Weave structure controls two things in color mixing. It controls the proportions in which the colors are mixed, and it controls the placement of the mixes. So, for example, a 1/3 twill shows 25% warp and 75% weft on the front face of the fabric, 2/2 twill shows a 50-50 blend, and 3/1 twill shows 75% warp and 25% weft. 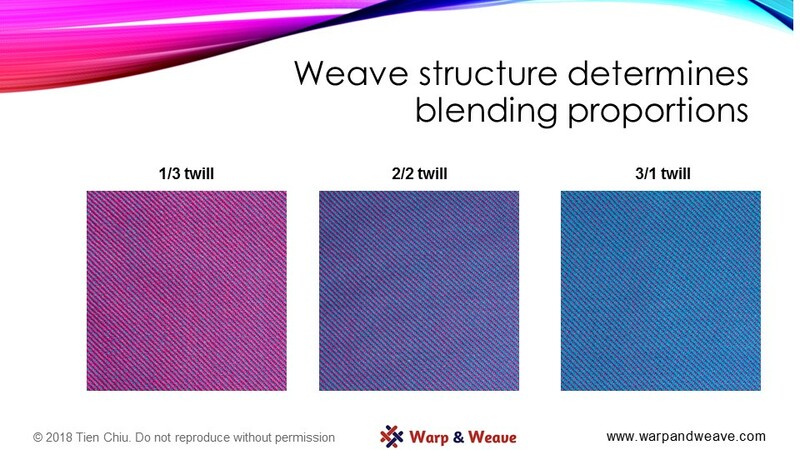 A weaver designing a project might choose weave structures for different parts of the project to place different blends of warp and weft in different places, creating the design. 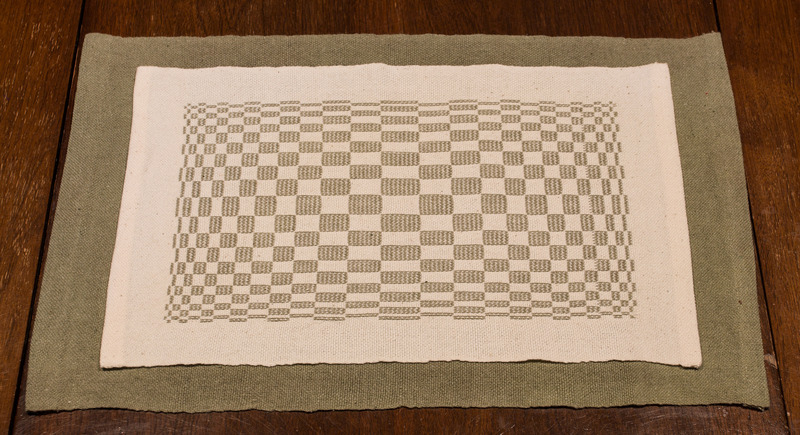 For example, this double weave place mat has some areas of interlacement that produce pure white, some that produce pure green, and other areas that produce a mix of white and green. 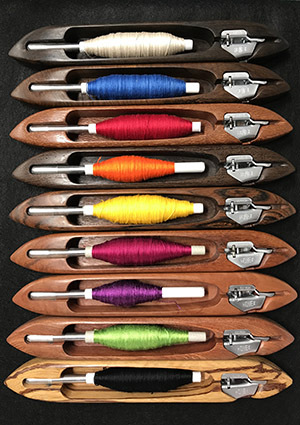 If you are considering using two yarns and want to get an idea for how they will blend, an online color mixer will give you a rough idea for how the colors might blend. 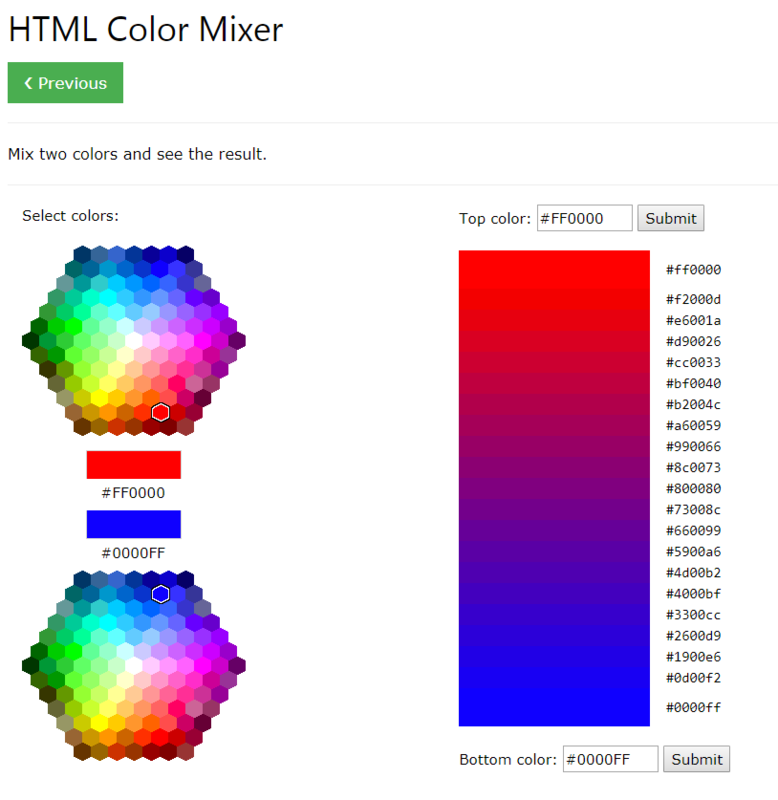 I often use the www3schools color mixer to see how colors will blend in different proportions. 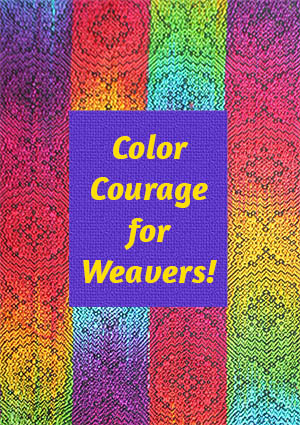 If you have found this blog post helpful, check out my Color Courage for Weavers online courses!